Every Tuesday, Jonathan sleeps over. Any day spent with Jonathan isn’t as simple as “let’s hang out”. It includes a numbered list of what we’ll do, which usually doesn’t differ too drastically from week to week. My favorite part of the night, aside from snuggling on the couch watching Once Upon a Time episodes, is cooking with him. After years of struggling over the desire to cook things perfectly,* yet also include Jonathan in the process, I’ve learned our perfect balance. Though when I cook dinner on my own I can select a recipe of any complexity, when I cook with Jonathan I try to pick something that doesn’t have an ingredient or process list the length of my arm and then I allot extra time for it all to go down. *That’s just my Type A showing. I am continually impressed with Jon’s cooking skills. Too often I underestimate what he can do. And though he is often content with sitting and watching me cook, when he is involved I know he feels important and included. Last week was one of those weeks where I chose a recipe that ended up taking longer than anticipated. 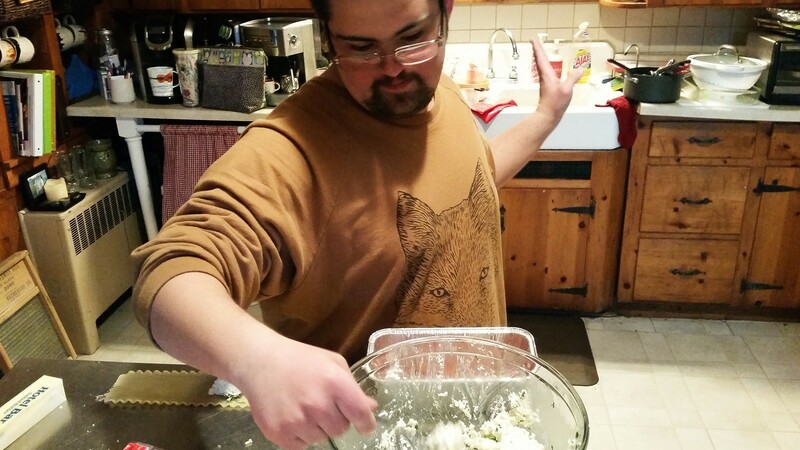 Why I thought lasagna roll ups would be easier and less time consuming than regular old lasagna–I don’t know, but just as time started to catch up on us, Jonathan stepped in and amazed me. 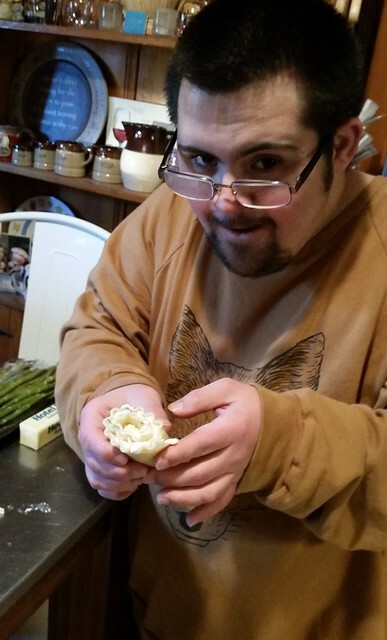 While I cook, Jonathan will often say, “Gaga, you need help?” and I’ll try to give him something small to do. He’ll often claim the job of dumping pasta into boiling water or opening a jar of sauce, and he’s always in charge of setting the table. However, times when I offer him the option of helping in a larger task, more often than not, he chooses to just watch. 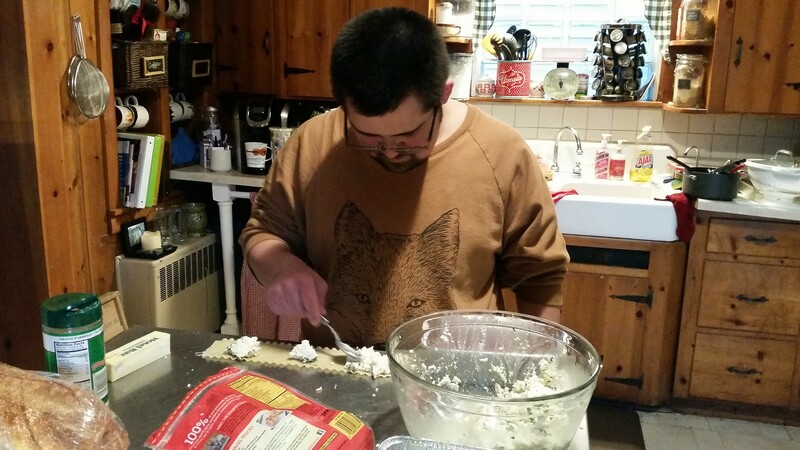 When he chose to help make the lasagna roll ups, and then essentially took the reins and began filling and rolling them completely on his own, I found myself actually relying on his help as I worked on the sauce and vegetables. I am continually amazed by the capabilities and talents Jonathan possesses. 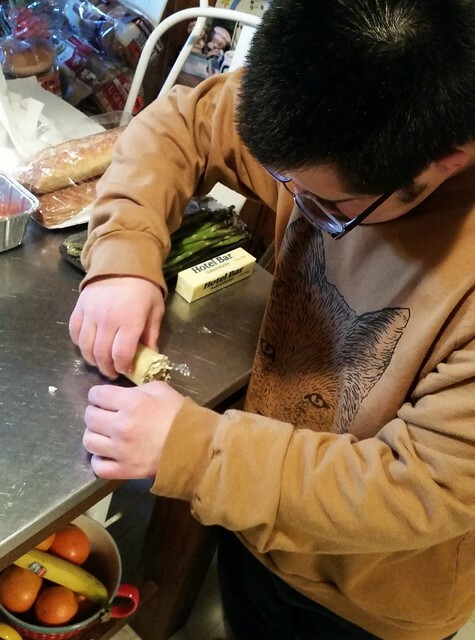 Just when I think I’ve learned all there is to know about Down syndrome, he blows me away and I realize that the possibilities of what he can accomplish are confined only to the limits that others set for him. I hope to forever remain limitless.